This October 22, thousands of volunteers and communities across the country will come together with a common mission: to improve the lives of others through community-driven service projects. Volunteers are encouraged to register their project at makeadifferenceday.com. By registering, project organizers are eligible to win a $10,000 grant to donate to a charity of their choice. Make A Difference Day began in 1992 and takes place annually on the fourth Saturday in October. 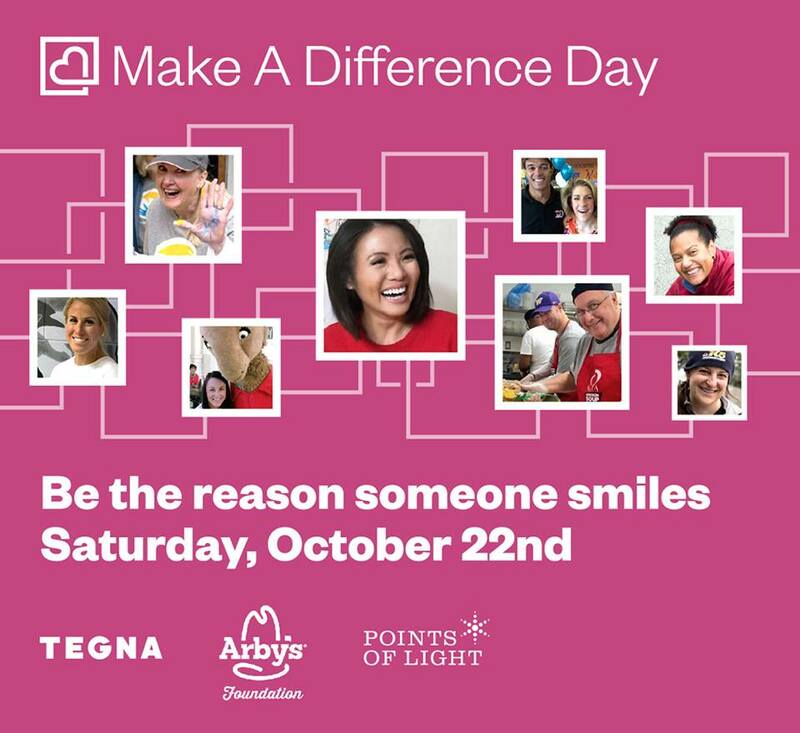 Make A Difference Day is made possible by the employees of TEGNA with support from the Arby’s Foundation and longtime partner Points of Light. To register a community service project, search for an existing project or find more information, go to makeadifferenceday.com.